Sometimes your Google Pixel 2 XL battery drains rather fast and it may overheat when you put it to charge. In this tutorial, you learn how to troubleshoot and fix Google Pixel 2 XL battery drain and overheating issues. Disable Google Assistant. Why? “Google Assistant” has to constantly auto-connect to get the latest news, app information, location, etc. This, in turn, drains your Google Pixel 2 XL’s battery. Uninstall RAM cleaner apps. Why? The constant moving of data back and forth from and into your RAM storage puts a strain on the Pixel 2 XL battery and system. Disable LTE. 3G networks are still fast. 4G/LTE requires more resources to function. Adjust Backlight Brightness. Try not to use more than 60% backlight on your Google Pixel 2. The higher the brightness settings, the more battery power your phone has to use. Disable S-Health and S-Voice. Trackers are great. However, they collect data 24/7. Once enabled, they use your battery and increase battery drain. Disable Pop-ups and Notifications. I refer to Twitter, Facebook, etc notifications. Each time you receive a game or app notification, you use up the remaining battery life on your phone. Try disabling the ones you absolutely do not need. This article continues by addressing the battery draining issues, the possible causes, and fixes. After, the article addresses the issue of overheating, the causes, and solutions. Time to learn what to do if your Google Pixel 2 XL battery drains fast. Firstly, I would ask the question! I know you want to ask. Didn’t you say that apps affect battery life? Yes. Yes, I did. However, this app helps you save battery life on your Google Pixel 2 XL. Greenify is not your typical battery saver app. Unlike most of these types of apps, Greenify does not add unwanted apps and popup ads on your Google Pixel 2 XL. Greenify is entirely unobtrusive. It does what it set out to do. Help you regain your depleting battery life. Greenify allows you to place most of your apps in a state of hibernation. Apps placed in hibernation only reactivate when you choose to take them out of hibernation. All you have to do is launch the app you want to use. After you finish using the app, Greenify places the app back into hibernation after a period of inactivity. Greenify reduces the number of apps that run in the background. Hence, your battery life improves significantly. Are you interested in using Greenify? Then, read how to use Greenify app to extend battery life on your Google Pixel 2 XL. Once you understand how to use Greenify, then check out the other optimization tips for maximum battery life. Alternatively, check them out right now if you do not like the idea of using apps. Firstly, turn off the automatic brightness feature. This feature is the first to modify if you want to extend you Pixel 2 XL’s battery life. Instead of automatically adjusting the brightness, set it manually. However, do not set it so low that you no longer have visibility. Reducing the brightness level of your Google Pixel 2 XL significantly reduces the strain on your battery. Go into Settings > Location > Mode, and you find three options: High Accuracy, which uses GPS, Wi-Fi, and the mobile network to determine your position. The high-accuracy mode drains the most battery life. Battery/Power Saving reduces battery usage. However, your GPS functionalities may not be accurate. Finally, there is Device Only. Device Only uses the onboard GPS of your Google Pixel 2 XL. Furthermore, you can disable location services altogether. However, as you would expect, this limits your Pixel 2 XL’s capabilities. Adjust the settings to your liking. For me, I use the power save mode. However, if I go for a jog or walk, I momentarily enable the High Accuracy setting. The third setting that you can tweak is the Google Pixel 2 XL Sync setting. As you know, sync allows your Pixel 2 XL to receive push notifications and updates. Hence, when you disable individual sync features, you prevent unnecessary notifications and updates. However, for important notifications, you can choose to allow sync to work. The choice is yours. Also, note that you can manually refresh or sync each of your apps by opening them. Depending on your apps, this may or may not impact much. If you have at least five apps that sync in the background, chances are they are the primary reason why your battery power can never stretch longer in a day. If you really don’t need the syncing, go under Settings>Accounts and turn them off. Switch to manual sync whenever you need an update for, say, emails. Lastly, explore the battery settings on your Google Pixel 2 XL. Get a feel for what is using up your battery life and take steps to reduce the load on the battery. Android devices have lots of settings that can reduce battery drain. Check them out! Go into Settings > Device Maintenance > Battery. There, view what’s making your Google Pixel 2 XL battery drain very fast – Moreover, if you tap on each of the apps, then tap save power to prevent those apps from using battery power when not in use. In the settings, you can also select a power saving mode such as MID or MAX. Each setting disables or adjusts certain features to extend your Pixel 2 XL’s battery life. Customize these features to your liking for optimal battery performance on your Google Pixel 2 XL. However, none of them are mandatory, and you will know what works best for you. Here are a few more recommended solutions for fixing Pixel 2 XL fast battery draining issues. Use the ones that you feel comfortable using. Tap the Recent Apps key. Scroll through the app previews. Then tap and drag the app off-screen to close it. Alternatively, you can tap on the X in the upper-right corner of an app to close it. To close all running apps at once, tap Close All instead. Once complete, be sure to restart or reboot your phone. It is always a good idea to restart your phone periodically. There’s even a setting for it. Turn the feature on and choose a time and day to automatically restart your smartphone. Tap the Menu icon (list symbol) on the upper-leftmost side of Google Playscreen. Go to the Updates section to view a list of apps with pending updates. To update individual apps, tap the Update button next to each app. To update all apps at once, tap the Update All button on the upper-right side of the screen instead. This is good to do if clearing background apps does not help improve your Pixel 2 XL’s battery drain problem. Outdated apps can slow down or cause issues with your device. Once all your apps update, restart your device and continue to use and monitor as per usual. Pretty soon, Google plans to let developers force you to update apps before use. When you install a system update, it is always a good idea to wipe the cache partition on your Google Pixel 2 XL. By doing so, you erase cache and temporary data from the system folders or cache partition. Any unnecessary or corrupted system data that may cause battery problems are consequently cleared in the process. You may need to factory reset your Pixel 2 XL if it comes down to it. This erases everything from your phone including files and apps. Before you do a hard reset, be sure to back up all your important data. Finding the root cause of poor battery performance on your Google Pixel 2 XL may take some time. However, once you figure it out, you can then adjust your settings to boost performance. 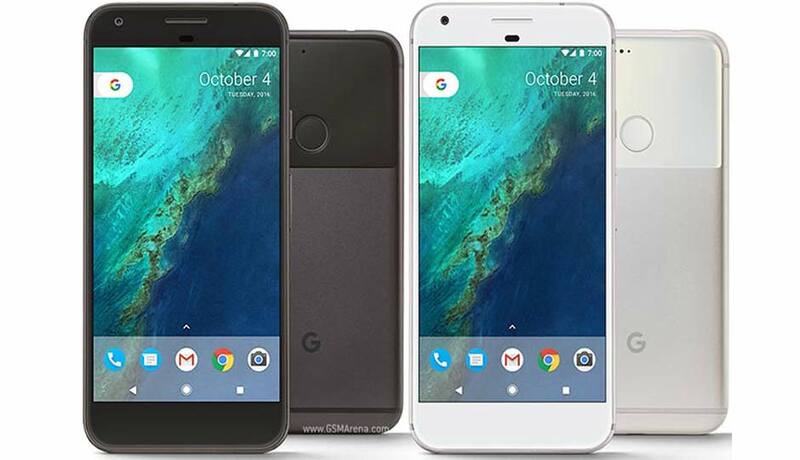 If you’ve gone through all the troubleshooting tips and tried the factory restore and your Pixel 2 XL battery still drains fast, then it is best to take your device to a Google certified repair shop for further assistance.